Our 40-plus years in the roofing industry has made us a high quality roofing company in Tampa, FL. We believe in honesty and integrity and follow a business model that is dedicated to treating our customers with the utmost respect. Replacement — There are certain factors that can help you determine whether or not your roof needs to be replaced. These include leaks, loose flashings, missing or torn shingles, excess shingle granules in gutters, and ceiling spots. Repairs — Roofs that leak but are otherwise in good condition may not need to be completely replaced. However, roofs that show age and wear should often be replaced instead of repaired. Choosing Materials — Choosing the right roofing material for your home will depend on a variety of factors, including your desired upfront costs in relation to the longevity you’re looking for. A contractor can help you determine which is the best option for your needs, including an asphalt shingle roof in Carrollwood, FL. Hail Damage — Hail damage is often not visible from the ground and is often only verified after a professional inspection. If your area has recently experienced hail, it’s a good idea to call Dynamic Roofing Concepts, Inc. to schedule an inspection. Ice Dam — Ice dams are created on a roof’s eaves when ice thaws and freezes. These dams can push shingles up and cause leaks that further damage the roof’s structure. Homes in areas that experience significantly low temperatures are susceptible to serious and costly damage. Life Expectancies — Asphalt shingles last from 15 to over 40 years, depending on the grade. Metal roofs have extended lifecycles of at least 50 years. Installation Time — Most roofing installations take only one day to complete. If a particular installation takes longer, we keep the area clean and secure each day, as well as protect any vulnerable areas. Project Cleanup — Once a job is complete, we clean the area and do a thorough walk-through. We won’t leave until everything has been cleaned to your specifications. 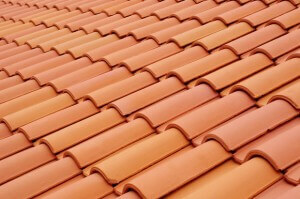 We know there are many Tampa roofing companies to choose from. For this reason we’re committed to going above and beyond when it comes to customer satisfaction. If you have any questions about the facts listed above, we invite you to give us a call, and we’d be happy to assist you. For a free quote on a new roof in Tampa with no obligation, call us at 813-257-9355. We look forward to helping you jumpstart your next installation on roofing or repair for your residential roof in Tampa, FL and surrounding areas.